Ibrahim Khan Gardi was one of the Gardis trained by de Bussy . The term " Gardi " came to be applied to the troops and officers trained by Bussy with strict regulations about discipline, uniforms, arms, marches and other military essentials, which were till then conspicuous in India by their absence, and which the Marathas with their strong self-will particularly hated . Bussy spent the first three years of his life in India (1747-49) in selecting proper well-built candidates for service with a strong physique and measured height and in training them for the purposes of infantry and artillery during field-operations and sieges. Ibrahim Khan was the son of Muzaffar Khan Gardi’s sister. Ibrahim Khan was in the services of Nizam Ali and was highly attached to him and had participated in the battle of Sindakhed against the Marathas in which the Marathas won .Nizam Ali also had a lot of affection for Ibrahim Khan , he along with his chief officials attended the marriage of the daughter of this Gardi commander .But Ibrahim Khan was a a trifle inferior to Muzaffar Khan in the technicalities of his profession. In this connection Salabat Jung once remarked: “Bussy had no difficulty in getting rid of Muzaffar Khan at a moment's notice. Ibrahim Khan stands no comparison in that respcct.” In June 1758 Bussy was recalled and he left the services of Nizam Salabat Jung . After Bussy's departure affairs took a rapid turn for the worse in the Nizam's State. Basalat Jang and Nizam Ali quarrelled over the power to manage the administration as Salabat Jang was a mere figure-head, playing into the hands of his powerful ministers. During the war on the east coast, Captain Forde of the British East India Company marched into the Northern Sarkars and captured those districts for themselves : neither Basalat Jang nor Nizam Ali could prevent this. The latter demanded from Salabat Jang the sole management of affairs : but Salabat Jang was afraid of his own life being attempted by Nizam Ali's Gardis headed by Ibrahim Khan. He therefore stipulated that he would entrust him with all powers provided he dismissed Ibrahim Khan from his service. This he agreed to do. Ibrahim Khan was dismissed by Nizam Ali in October 1759 and the latter was given full powers of administration by Salabat Jang. Raja Vithal Das paid the arrear of three lakhs in full immediately and expelled Ibrahim Khan Gardi from the services of Nizam Ali on 9th October. When Sadashivrao at Poona learnt of Ibrahim Khan's dismissal, he at once engaged him in his employ with the help of one Keshavrao Panse , having already fully satisfied himself about the latter's honesty and capacity. This was the reason that provoked Muzaffar Khan, the rival gardi commander to attempt Bhausaheb's life. Ibrahim Khan was to join service at Poona on November 5, 1759. Sadshivrao granted Ibrahim Khan the sole management of Peshwa’s artillery .Ibrahim Khan entered the services of Peshwa with 12,000 French-trained sepoys forming 12 battalions of thousand men each. Ibrahim Khan led Peshwa’s artillery in the battle of Udgir and fought against the gardis of Nizam Ali .In this battle Ibrahim Khan displayed an impressive show of his French capacities and talent. Impressed by his capacities Sadshivrao decided to take Ibrahim Khan in the Panipat campaign. Ibrahim Khan set out from Patdur with 8,000 gardi sepoys . Ibrahim Khan proved useful at Delhi and Kunjpura where his guns created havoc in the Afghan camps. Regarding this Nana Phadnavis wrote on 28th November : “The Afghans have been impressed by him” . Impressed by this general of Sadshivrao , the Afghans tried to detach him from the Marathas in the name of religion but this loyal general boldly turned down all lucrative offers. It was on the advice of Ibrahim Khan that Sadshivrao decided to entrench himself at Panipat .Finally in the main battle fought on 14th January , it was his war plan (of moving in a hollow square formation) that was implemented by Sadshivrao . Just before the battle Ibrahim Khan rode up to Bhausaheb and said "Ram ! Ram ! You were highly displeased with me because every month I used to take from you, with bold insistence, order for the cash payment of our salary, running to six lakhs of Rupees. This month your treasure has been looted and we have got no order of payment. Never mind that today I shall discharge my duty". In the battle the gardis fell on the right wing of the Afghans and the Rohillas received huge causalities . In the first half of the battle Ibrahim Khan remained the undisputed champion in that part of the field. So fierce was Ibrahim Khan Gardi’s attack that only a few Soldiers remained with their chiefs and one leader could not inquire about another. The old Hafiz Rahmat Khan said, "Set my palki down in front of Dundi Khan, so that I may be slain before his face.". Dundi Khan came down from his horse and cried out, " Comrades! our life and honour are perishing. Bring me news of Hafiz Rahmat Khan" .Towards the end of the battle Ibrahim Khan was captured in wounded condition and most of his gardi soldiers were killed in the battlefield. Ibrahim Khan was later tortured and executed on the orders of Abdali .There is also a mention of Fatheh Ali Khan Gardi who led a night attack on the Afghan camp on 19th November 1760 , who was the brother of Ibrahim Khan Gardi. What happened to Fatheh Ali Khan is nowhere recorded . It has also been stated that the son and brother-in-law of Ibrahim khan died in the battle field. Gardi betrayed his own people, i,e, Afghans. Respect : Bow our heads to Ibrahim khan gardi !! A true soldier !! Great Ibrahim. India always produces such true secular warriors. China beware. We can't be defeated. I also remember Abdul Hamid in 65 war with Pakistan. Long live GREAT IBRAHIM GARDI. The story of Ibrahim Khan is a myth. I want to know more about him, that is when he was born, where he was, and what was the age of the Panipat war, where and how he brought or made a French gun when he was in Maratha service, and how he created his army. Because this information is not found anywhere. Their story is filled with patriotism, Bhausahebwarol loyalty and friendship, bravery, selflessness, bravery etc. and all the story that one needs to produce a movie is all about this. Indeed, the Marathas lost the important hero in the Panipat. Abdali kept Ibrahim Khan as his commander. But if he does not go to Kabul, then he will accept death, permanently sleep in the mother'sland womb. Wah!!! Ibrahim Khan Garadi, you are great.!!!! 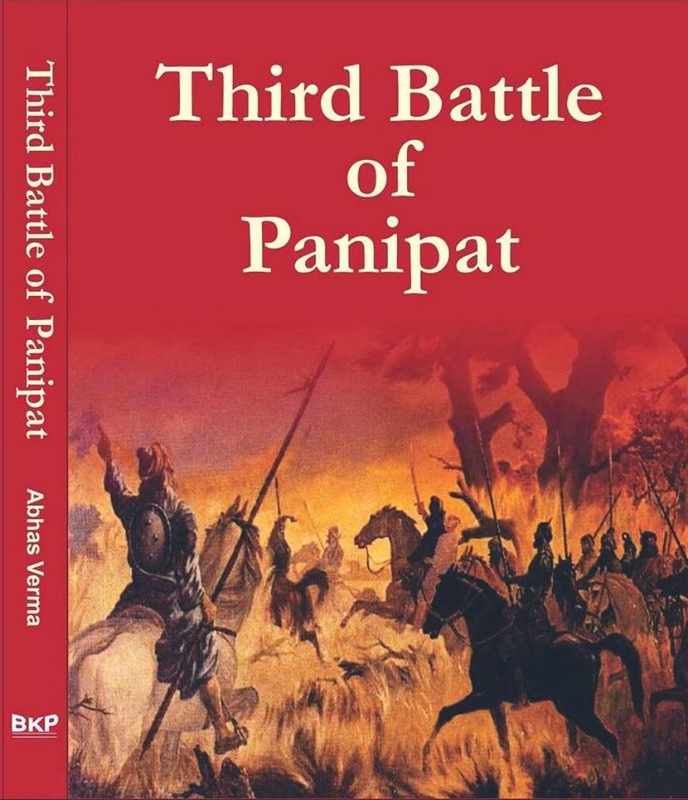 To me, the third battle of Panipat is difficult to show in a film because there is a very large background in the Warpath war. This is not a war in a day.